A new experimental TB drug has been found to be more effective against tuberculosis bacteria than a presently available drug like isoniazid. The new drug has less tendency to develop resistance and a longer duration of action in mouse studies. The research has been published in Antimicrobial Agents and Chemotherapy, a journal of the American Society for Microbiology. The goal of TB drug development programs is to develop universal treatment regimens that will shorten and simplify TB treatment in patients, which typically takes at least six months, and sometimes more than a year, said lead author Gregory T. Robertson, PhD, Assistant Professor, Department of Microbiology, Immunology, and Pathology, Colorado State University, Fort Collins. 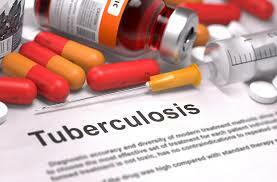 TB remains the leading infectious cause of death worldwide, despite significant progress in combatting tuberculosis. According to WHO, 10 million people fell ill with TB in 2017 and 1.6 million died from the disease. The new drug, called AN12855, has several advantages over isoniazid. Isoniazid, requires conversion to its active form by a Mycobacterial enzyme, KatG, in order to kill the pathogen, which creates a couple of problems. First, in some M. tuberculosis, KatG is nonfunctional. That doesn’t make M. tuberculosis any less pathogenic, but it prevents the drug from working. That creates an easy avenue for the development of drug resistance. Under selection pressure from isoniazid, the tuberculosis bacteria with nonfunctional KatG — those that don’t activate the drug — are the ones that reproduce. Under these circumstances, drug resistance may develop. “Our studies also further validate the use of a new TB mouse efficacy model (dubbed C3HeB/FeJ) as a research tool to study the impact of heightened human-like disease states on the activity and distribution of TB antibiotics that are in various stages of development,” said Dr Robertson. That could accelerate the development of better TB treatments.